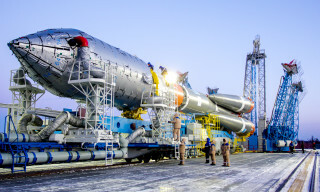 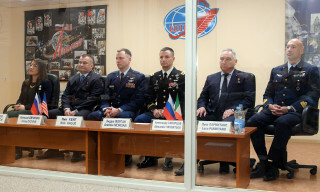 RSC Energia specialists arranged for Soyuz TMA-15M crew commander Anton Shkaplerov practical trainings on Russian ISS segment onboard software update, on operating earth’s surface shots mapping system , Soyuz TMA-M spacecraft optical equipment, Sygma ballistic and navigational support and system of data sharing between ISS Russian segment and MCC. 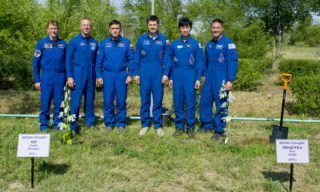 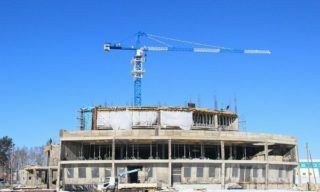 Besides Anton Shkaplerov studied the methods of EXPOSE scientific experiment software installation and operation, the main principles of working with photo and video equipment and LEATHEMAN universal manual tool and the methods of Vizir-I experiment accomplishment. 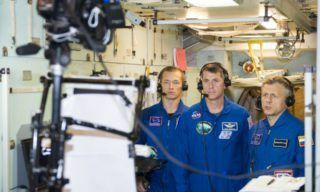 In the course of these preparations the cosmonaut had a training on board simulators to maintain control skills of approaching and docking with the ISS and Progress M-M cargo vehicles in remote mode and Soyuz TMA-M spacecraft control during the descent. 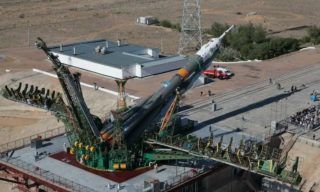 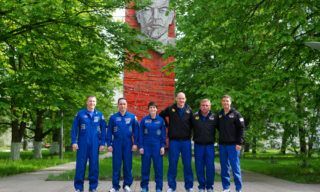 The launch of Soyuz TMA-15M with ISS-42/43 mission crew onboard comprising Roscosmos cosmonaut Anton Shkaplerov, ESA astronaut Samantha Cristoforetti and NASA astronaut Terry Virts is planned for November 24, 2014.